Mr. Michael Mutaya Kachumi – CHAZ Director Grants, Compliance & Procurement – holds an MBA from Oxford Brookes University UK, is a Fellow of the Association of Chartered Certified Accountants UK (FCCA), is a Fellow of the Zambia Institute of Chartered Accountants (ZICA), an Associate Member of the Association of Chartered Secretaries and Administrators UK (ICSA), a Financial Administrator from Zambia Institute of Business College Trust (FA) and a Certified Systems Application Product Specialist (MySAP). 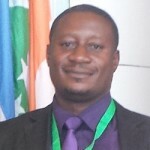 Having over 16 years of professional work experience in the social and economic environment such as the non-profit sector, the private sector, quasi government sector, He has amassed expertise in Strategy Formulation, Public Health, Public Finance, Grants and Compliance Management, Public Private Partnerships, Governance and Oversight, Capacity Building, Information Management, Health Financing, Monitoring & Evaluation, Resource Mobilization, Leadership and Change Management, Micro Finance and Income Generating Activities, Preparation and Review of Financial Reports, Financial Accounting and Management, Taxation, Investment advice, Risk Analysis, Asset Management, Financial Training and Mentoring. His expertise further includes Project management, Stores and Procurement Management, Situational and Sensitivity Analysis, Grant Negotiation, Managing Financial and Business Relationships with key stakeholders, Coordinating and working with Development Partners. He is competent in Proposal Development and Programme planning, Strategic Planning, Human resource Management that include Job designing and Performance appraisal.